Spring Summer looks are slowly begining to come into the shops at the moment and I for one can’t wait for it to get a bit warmer but I live in Ireland and we are not know for our hot dry summers so I have to keep that in mind when picking out essential pieces for my wardrobe for SS15 now I am not planning any summer holidays as I am planning on going away in December not sure where yet thinking Paris, London or New York so we will wait and see. 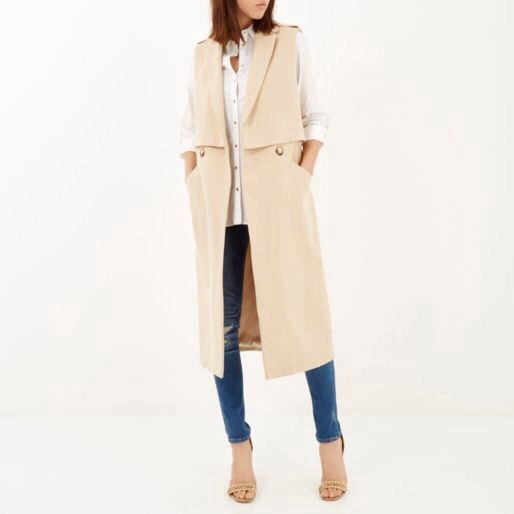 Last summer I got a sleeveless blazer for misguided which I loved and it was perfect for Irish weather and I have noticed that there are even more choices out at the moment and I have picked out my favorites for you and I feel that this is going to be a big look for SS15. 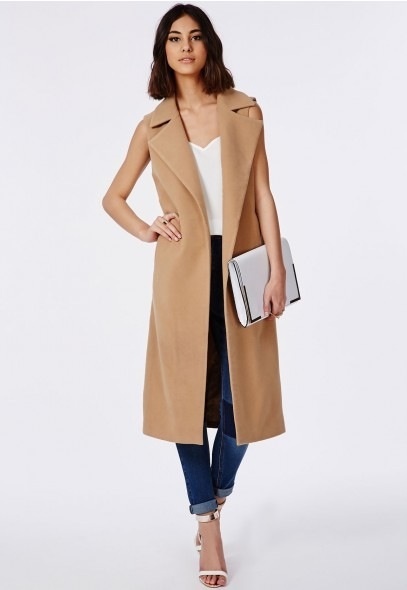 Sleeveless tailored coat camel 71.50 this is one of my favorite items. Im jn NEW YORK 🇺🇸🍏🚕🗽 in Dec!! !